With the decommissioning of Jerrara Dam complete, the question now is what is the best future use for the 52ha (almost 150 acre) site? The dam was transferred to Council by the state government in 1975, bringing with it the associated responsibility of maintaining a prescribed dam despite it not being used as a water supply. Studies required by the NSW Dams Safety Committee to assess the dam’s capacity to cope in a one in a 100 year flood gave Council the options of spending over $3 million to raise the wall or $850,000 to decommission it. “In choosing the latter we have retained a water body, established a new fish passage for the creek and got rid of the on-going costs of having a prescribed dam,” says Acting General Manager Bryan Whittaker. 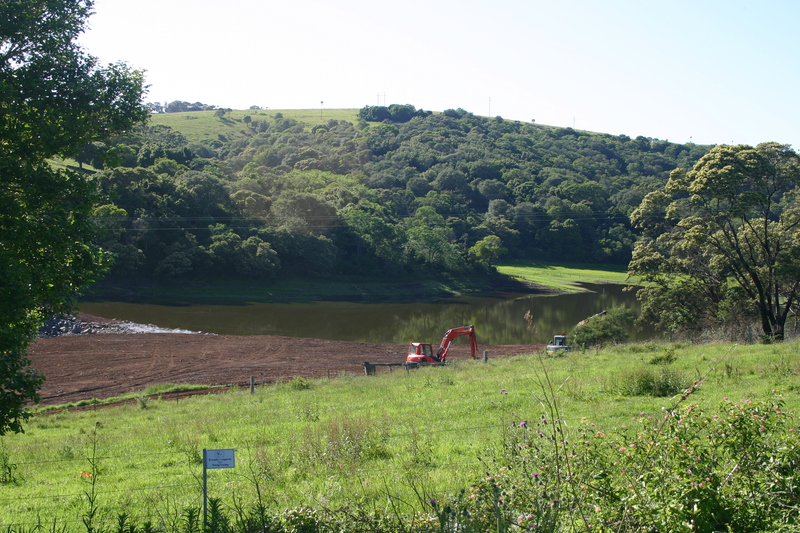 The remaining small lake is fed by Jerrara Creek and is up to two metres deep. 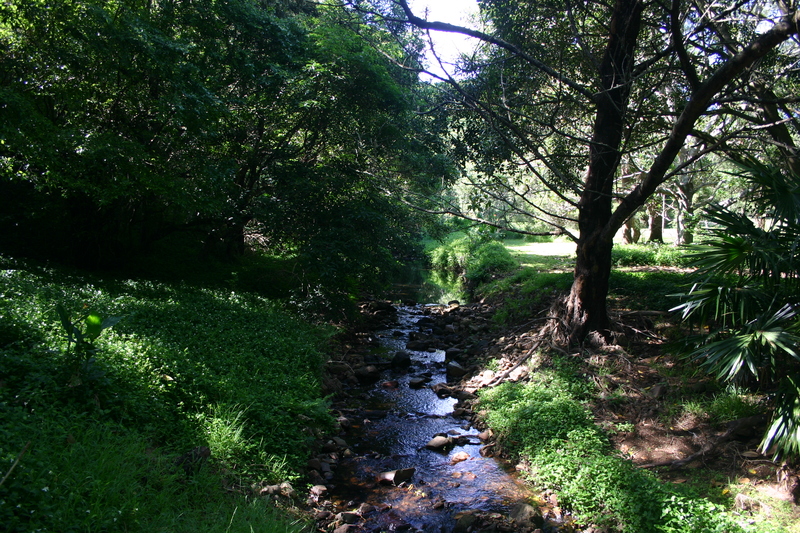 It can be accessed from Jerrara Arboretum. A consultant has now been engaged to look at the full options for the sustainable future use of the site. Nothing has been ruled out, so consideration will be given to the already mooted ideas of establishing an eco-fishing reserve or making it into a venue for festivals. The report is expected to be completed early in the new year. Council now has only one prescribed dam on its books, the almost forgotten Fountaindale Dam. Faced with the need to spend another $200,000 on studies to see if anything needs to be done to the small dam, Council strongly supported a motion at the recent Local Government NSW conference to seek financial help from the NSW government for all councils who are facing the large costs for these studies and ongoing works. “We were given these dams that we didn’t need, and we are being left with the costs,” says Mayor Brian Petschler. Both men want to acknowledge the patience and goodwill of the nearby Riding for the Disabled during the works process. The organisation will now have access to an extended riding paddock adjacent to the new spillway. There is also the issue of what the area should be known as now. Jerrara Wetlands or Jerrara Reserve are frontrunners.